Software is not created at once. Rather, it grows incrementally version by version and evolves long after being first released. To be practical for software developers, the software verification tools should be able to cope with changes. 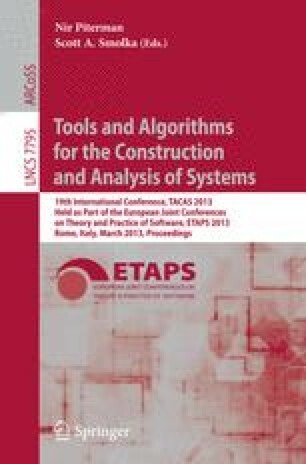 In this paper, we present a tool, eVolCheck, that focuses on incremental verification of software as it evolves. During the software evolution the tool maintains abstractions of program functions, function summaries, derived using Craig interpolation. In each check, the function summaries are used to localize verification of an upgrade to analysis of the modified functions. Experimental evaluation on a range of various benchmarks shows substantial speedup of incremental upgrade checking of eVolCheck in contrast to checking each version from scratch. This work is partially supported by the European Community under the call FP7-ICT-2009-5 — project PINCETTE 257647.